The Wedding Dress is a quaint boutique conveniently located on Main Street in Portland, Connecticut. 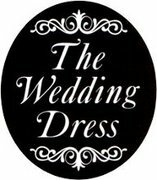 The Wedding Dress features a diverse selection of unique wedding dresses for brides, bridesmaids dresses, mothers dresses, and flower girls dresses, in addition to wide selection of headpieces, custom veils, lingerie, jewelry, and shoes. Our Silver Needle Award winning owner/designer has personally selected a collection of striking gowns and beautiful accessories. The family operated salon's knowledgeable consultants will gladly work one-on-one with you to create your ideal look. Come visit The Wedding Dress, and we are sure that you will find that "distinctive style for your walk down the aisle!" Walk-ins are welcome, but appointments are recommended. The Wedding Dress is an authorized retailer of the collections found within this website.